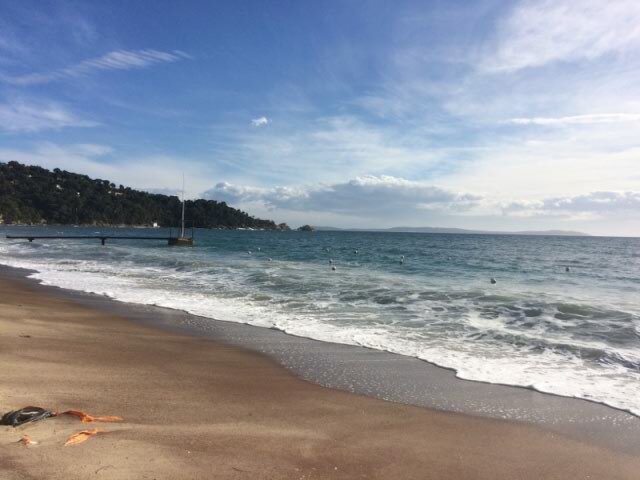 A great excursion idea for your holiday at Camping de La Pascalinette: Plage de Cavalière Est is a stunning beach located 25 mins/7 km from the campsite in the Cavalière quarter of Le Lavandou, adjacent to the town centre and just before Cap Nègre. The beach is attended by a lifeguard throughout summer. It also features several private beaches with restaurants. To get to the beach from Camping de La Pascalinette, head towards Saint-Tropez on the D559 road. Park along the road, in the large, paying car park (also the car park for the flea market every Sunday), or on the market square (except Monday mornings from June to September). The beach is shaded by umbrella pines. Sheltered from winds except the westerly wind, which can make the sea choppy.